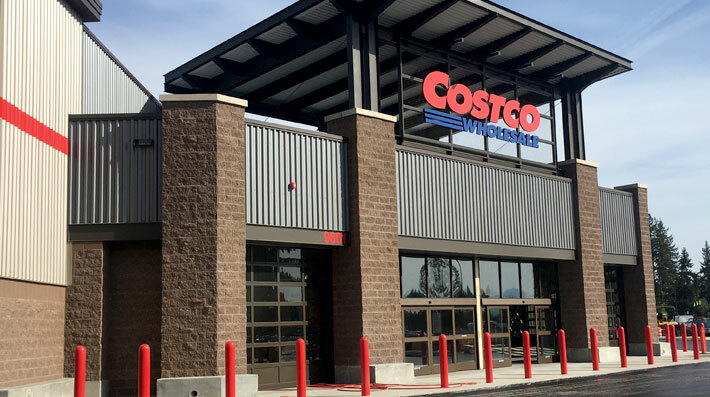 Visconsi Companies welcomes the opening later this month of Costco Wholesale as an anchor at our new development, Mountain View Marketplace, in Bonney Lake, Washington. Headquartered in Issaquah, Washington, Costco Wholesale has 749 warehouse locations worldwide, 519 of those in 44 U.S. States and Puerto Rico. Mountain View Marketplace consists of junior boxes, in-line shops and pad availability, all fronting SR 410, a highly visible location with over 30,000 ADT and a new signalized intersection. 3-mile Average Household Income of $97,515. For further information on retail and other use opportunities at Mountain View Marketplace and other Visconsi Companies new developments and portfolio properties, please contact Mike Olsen, Vice President of Leasing.